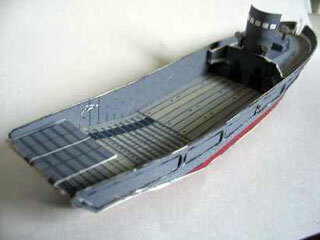 Found this nice Daihatsu landing craft of WW 2 vintage at the Paperkraft page. Just print out, a bit of fancy scissor work, glue it together and sit back and enjoy. Well, that is the theory at least, I think I have to try this one myself. Photo from the Paperkraft page.